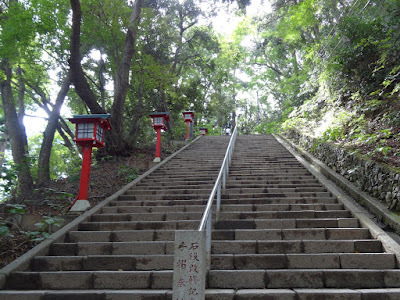 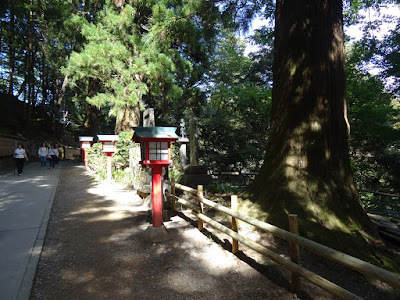 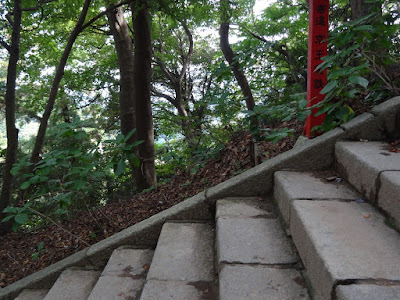 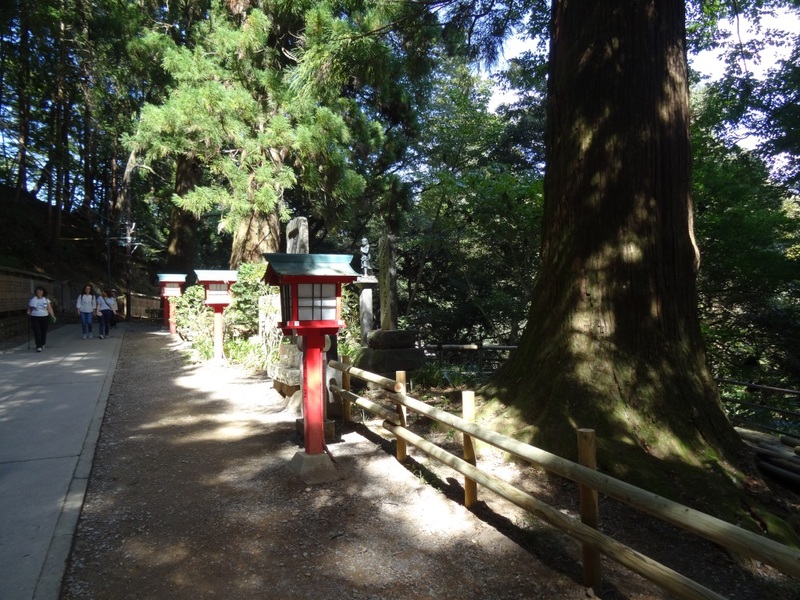 Continuing up Mount Takao on trail number 1 I also passed by a temple called Yakuo-in Temple which was also shown in Encouragement of Climb. Just after passing the souvenir shop and monkey park on trail number 1, you'll get to this place. 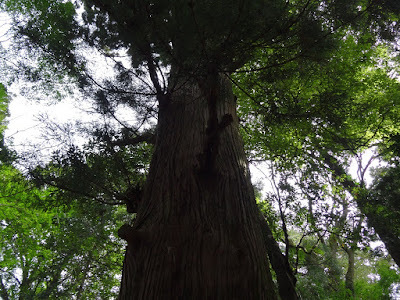 Where this sacred tree, called the tako-sugi octopus cedar because it's roots look like the tentacles of an octopus, is located. 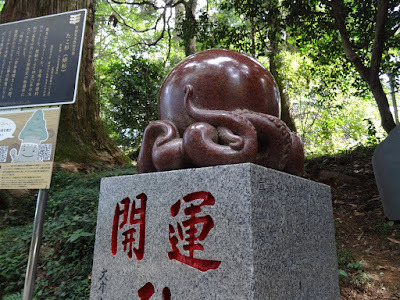 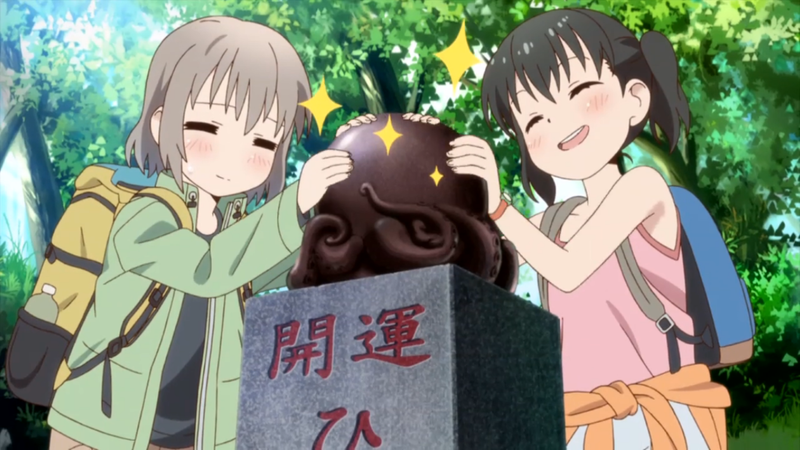 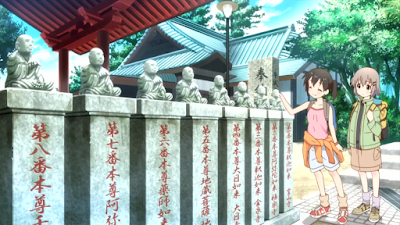 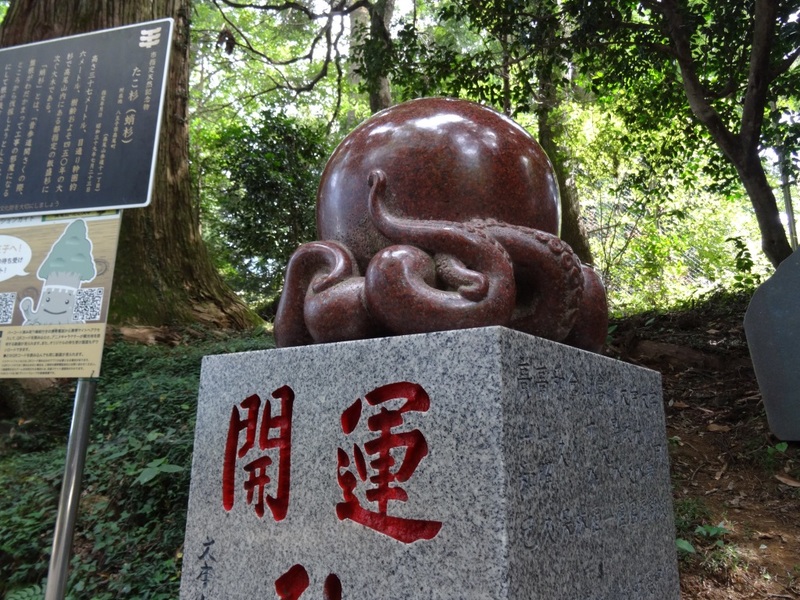 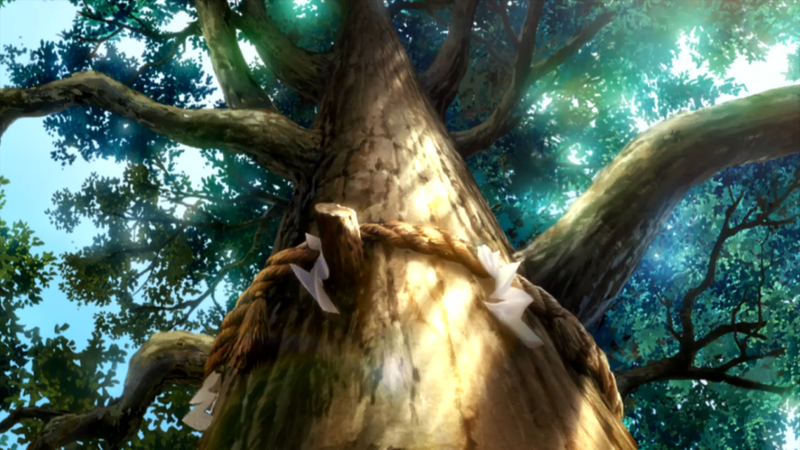 Next to the tree is also this octopus statue that Aoi and Hinata rubbed for good luck. 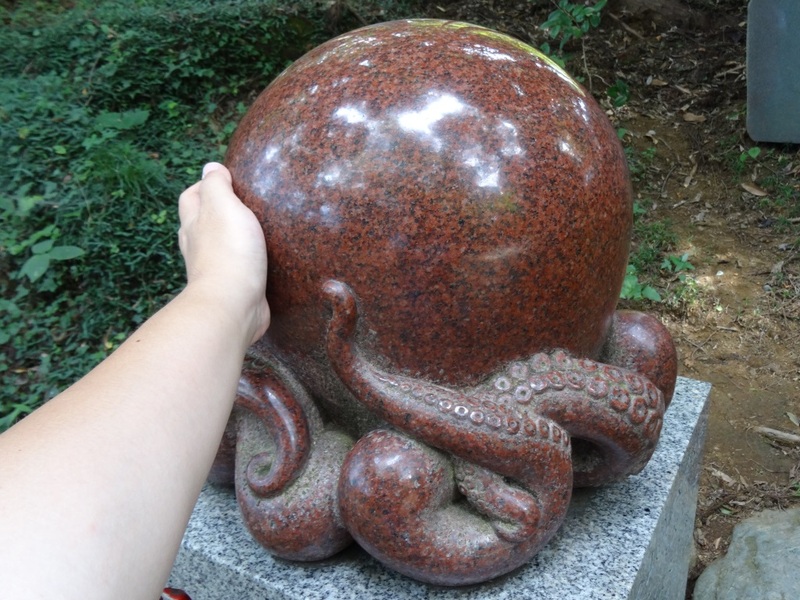 I rubbed the statue as well. 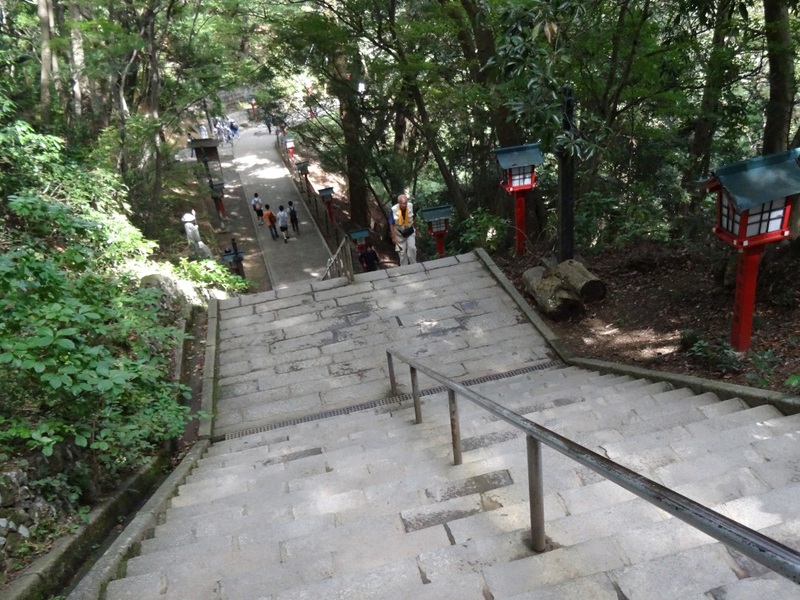 I've marked the path from the nearby monkey park to Yakuo-in Temple in the map below. 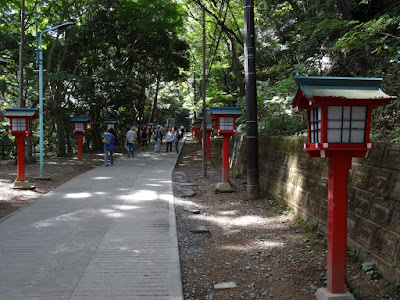 After some more climbing you'll get to these lanterns leading the way to the temple. 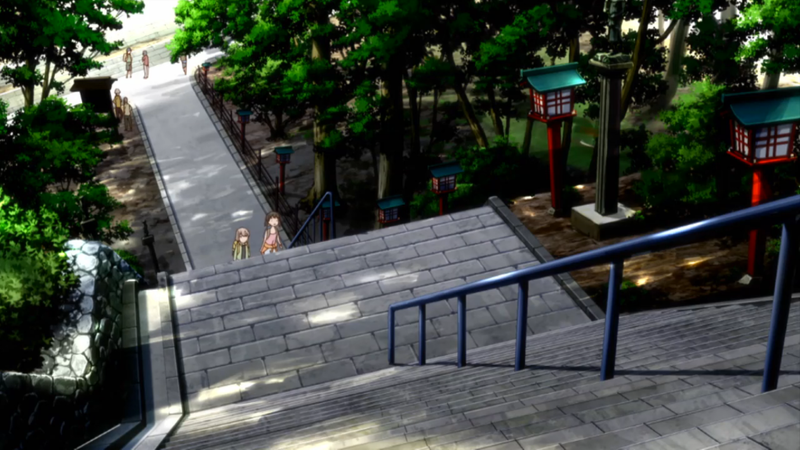 View down the same set of stairs. 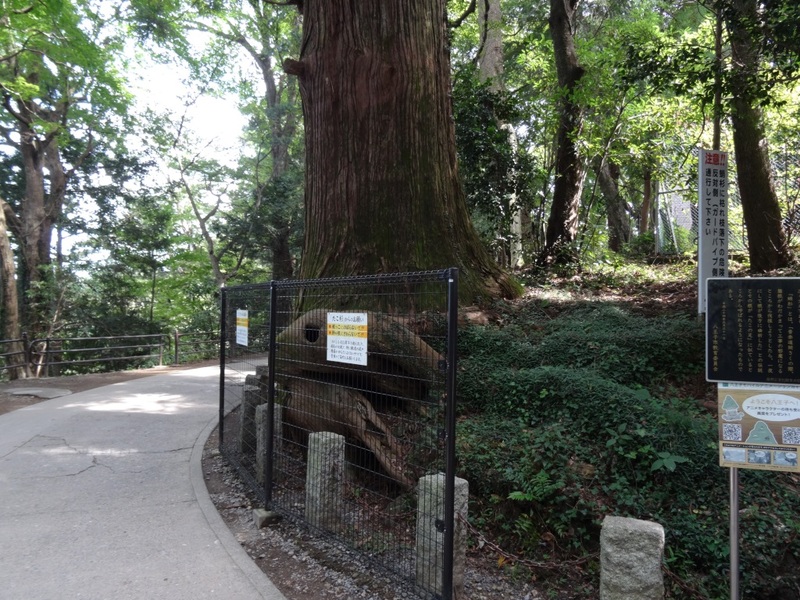 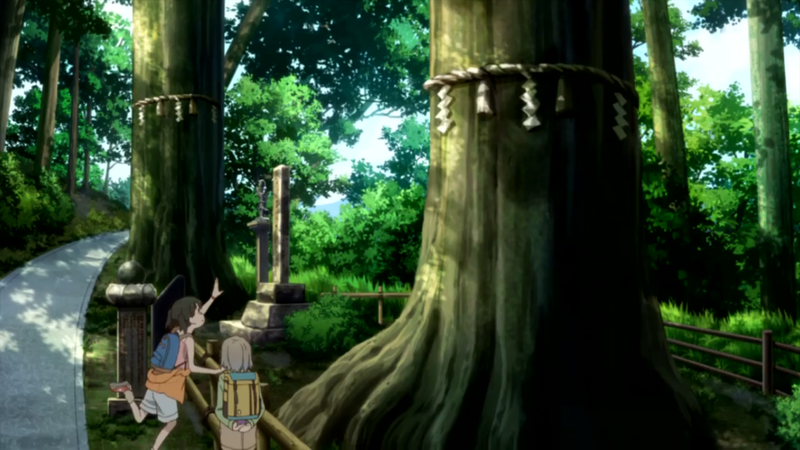 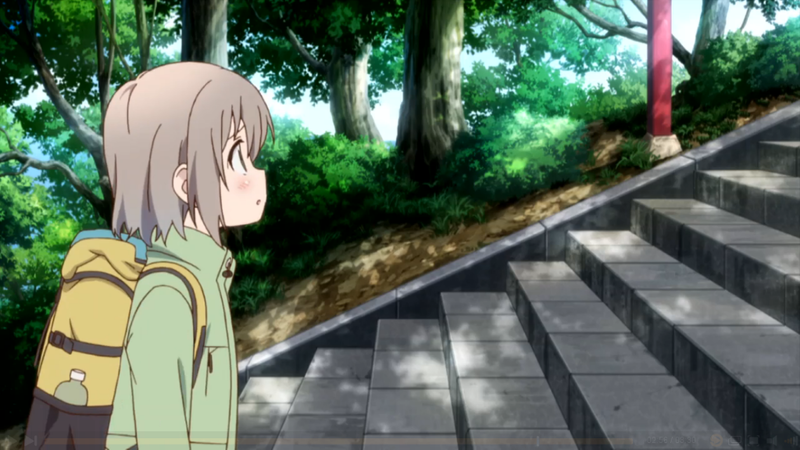 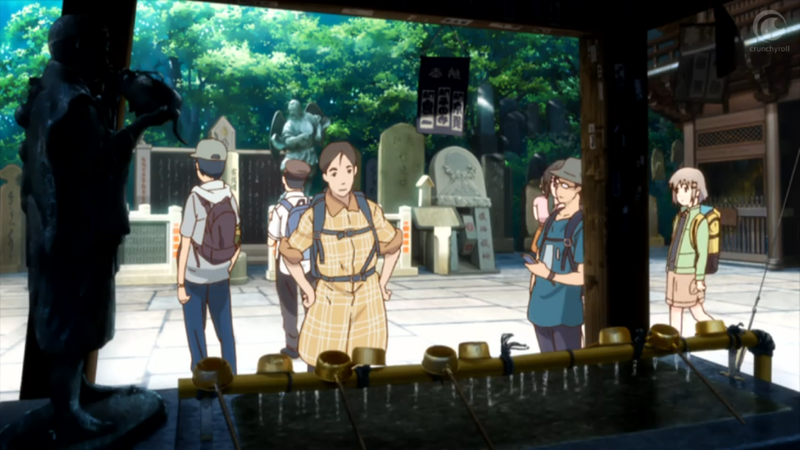 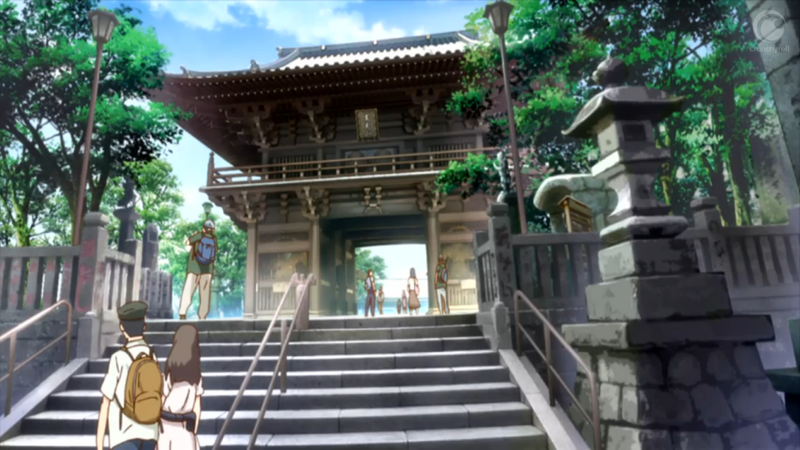 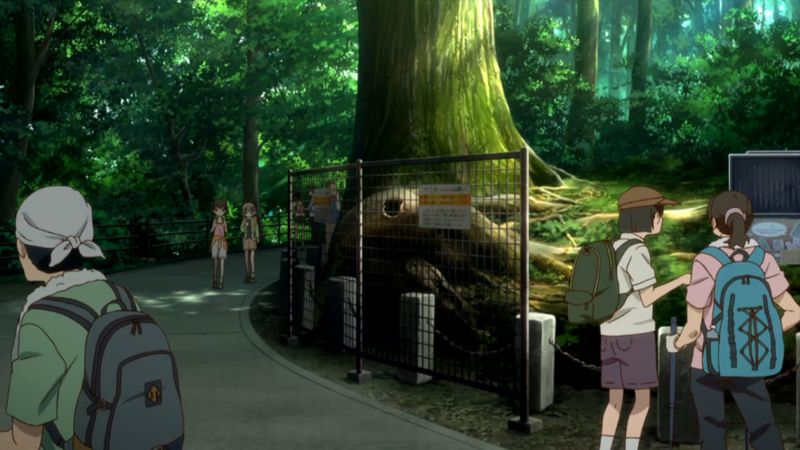 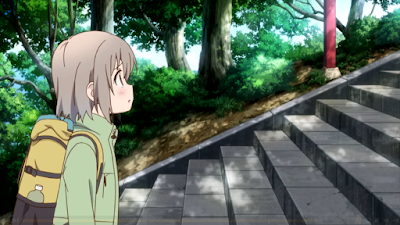 This 700 year old cedar tree which is shown earlier in the episode is actually located after the stairs in real life. 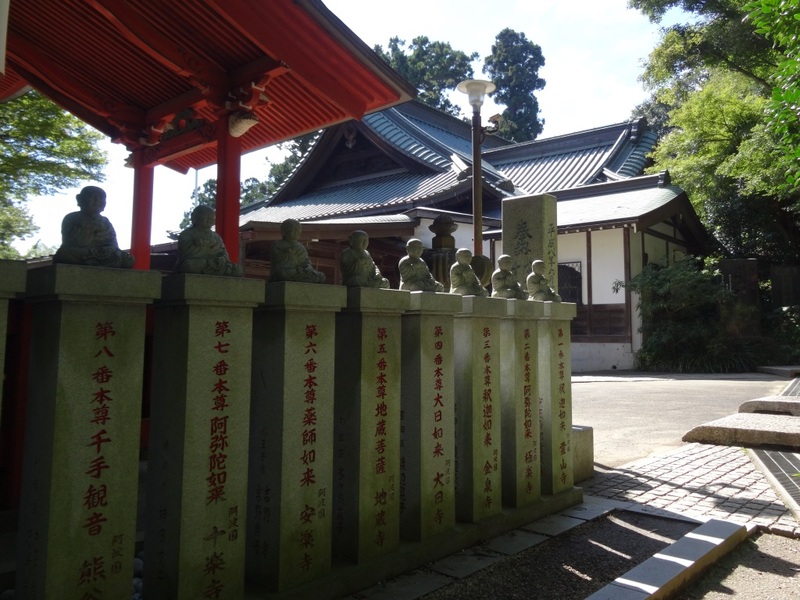 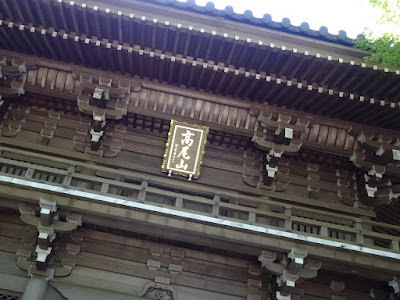 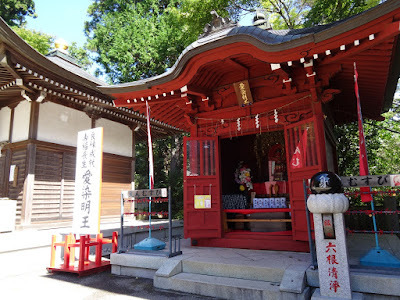 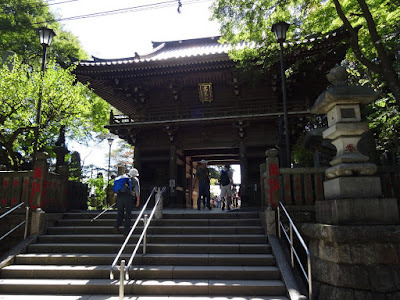 This is the main gate to Yakuo-in Temple. 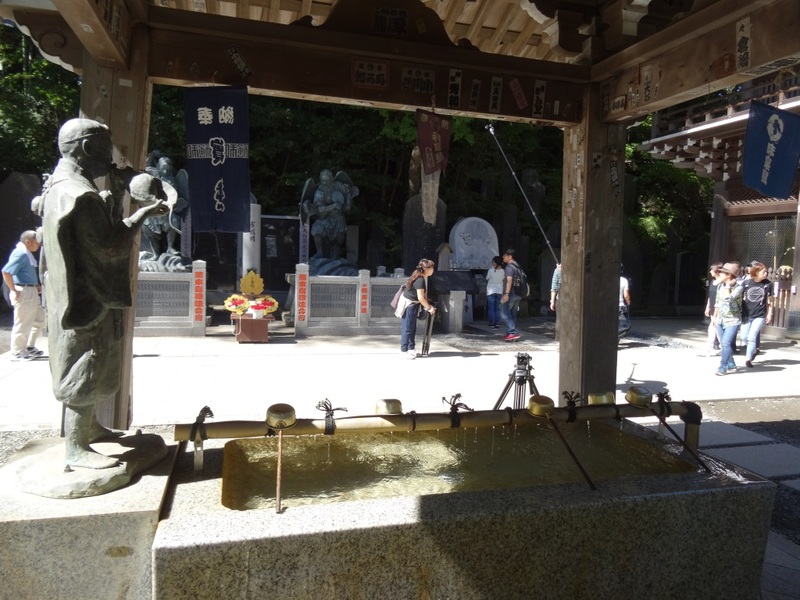 The purification font. 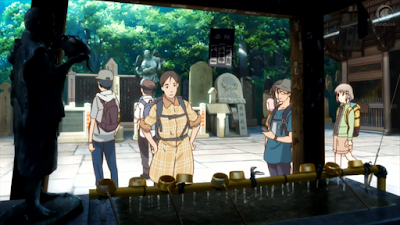 If you look closely in the background you can see a film crew that was filming here. 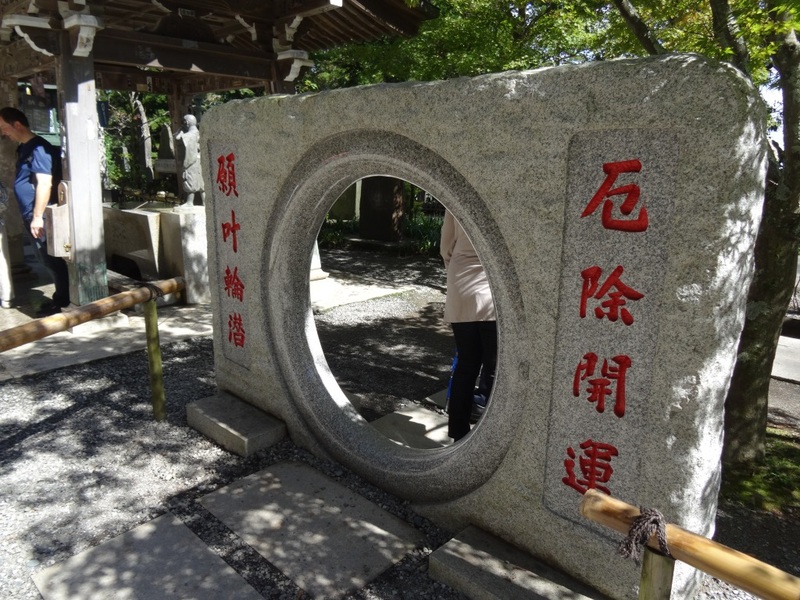 Next to the purification font was also this stone ring. 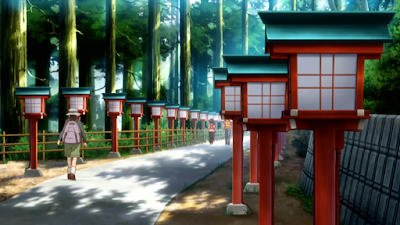 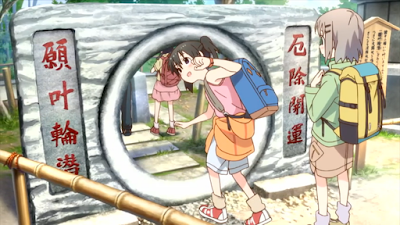 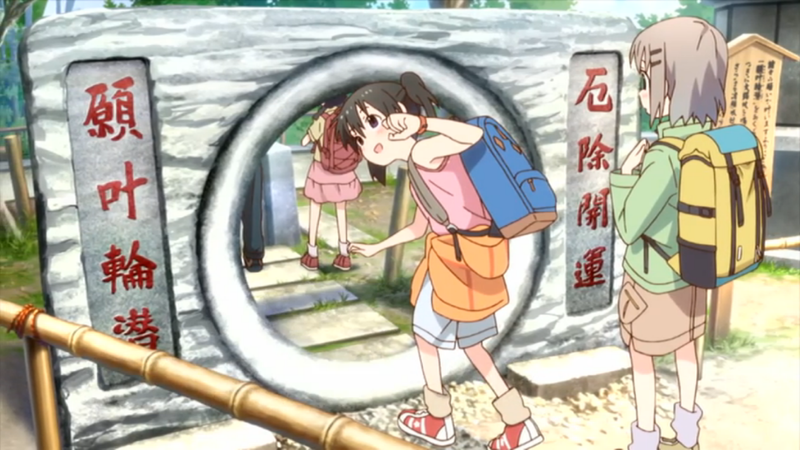 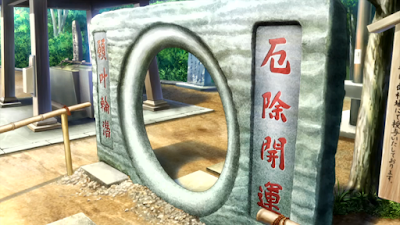 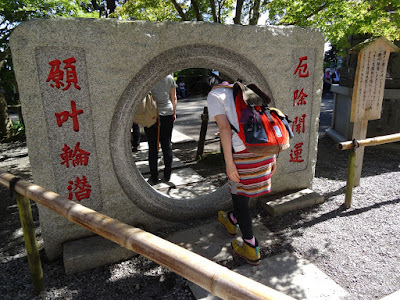 Hinata walking through the stone ring where you can make a wish. Temple building near the purification font. 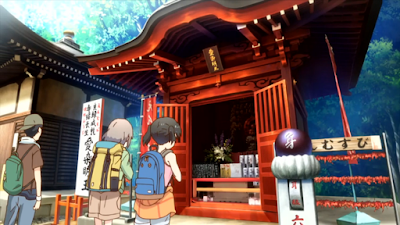 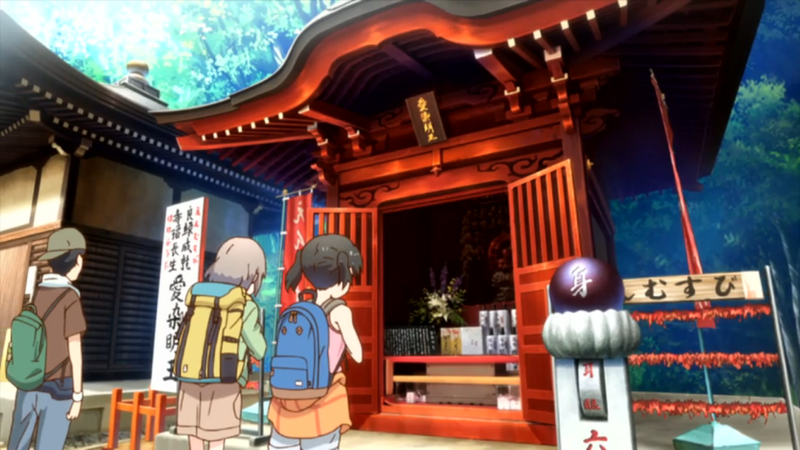 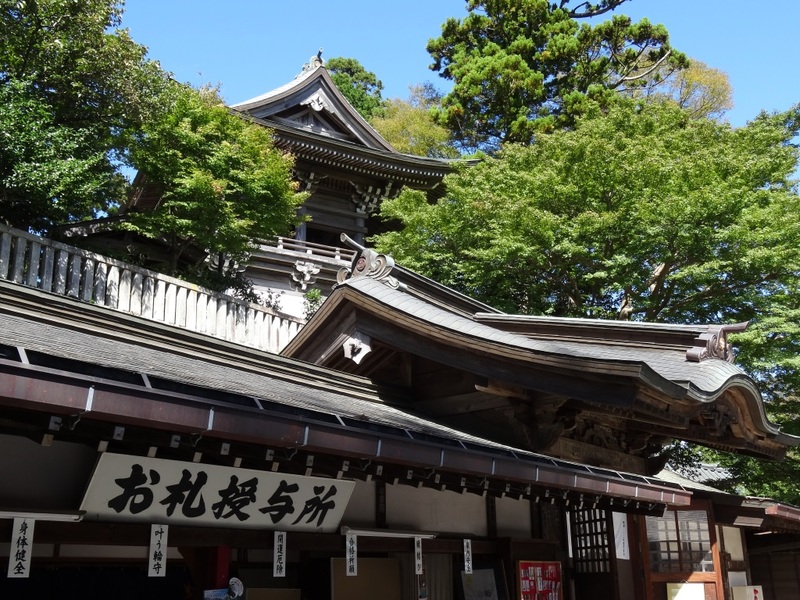 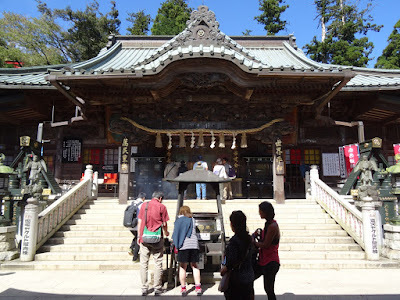 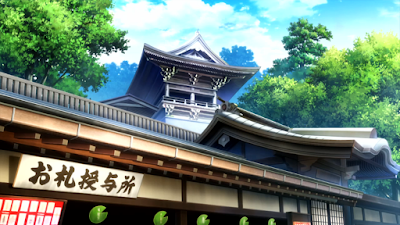 At the bottom is the roof of the place where they sell omamori charms and talismans. Here's a picture of the main hall of the temple. This wasn't shown in the anime though. 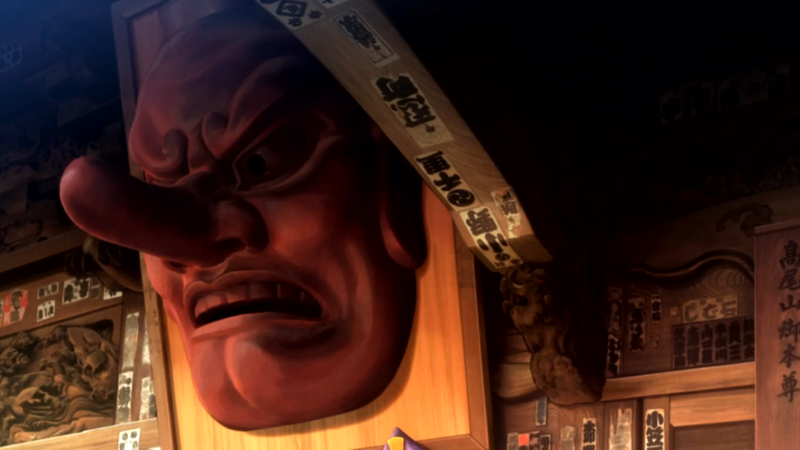 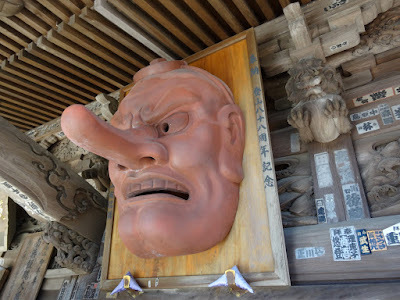 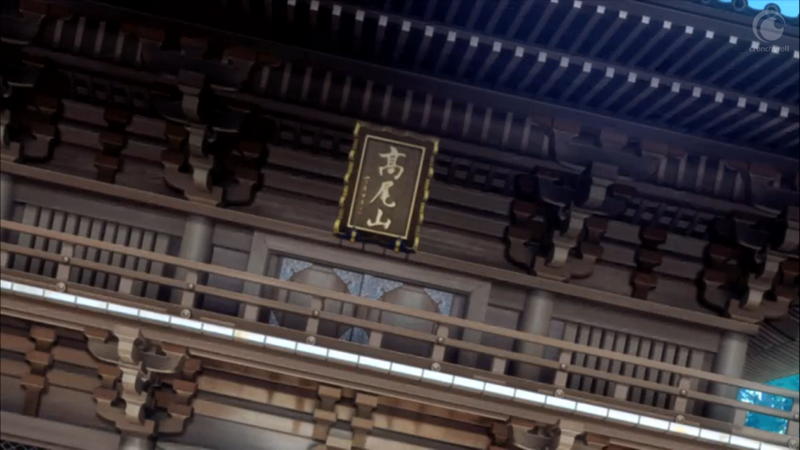 But they did show one of these tengu carvings that's at the main hall. 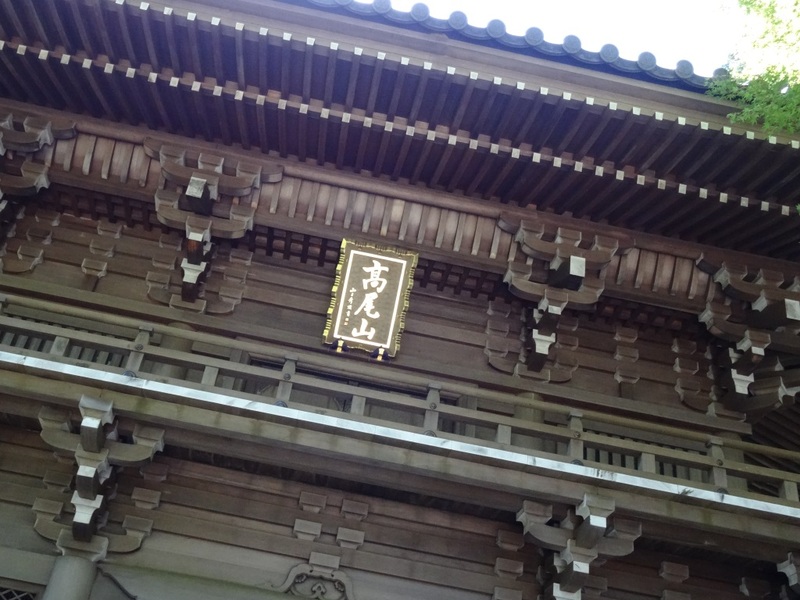 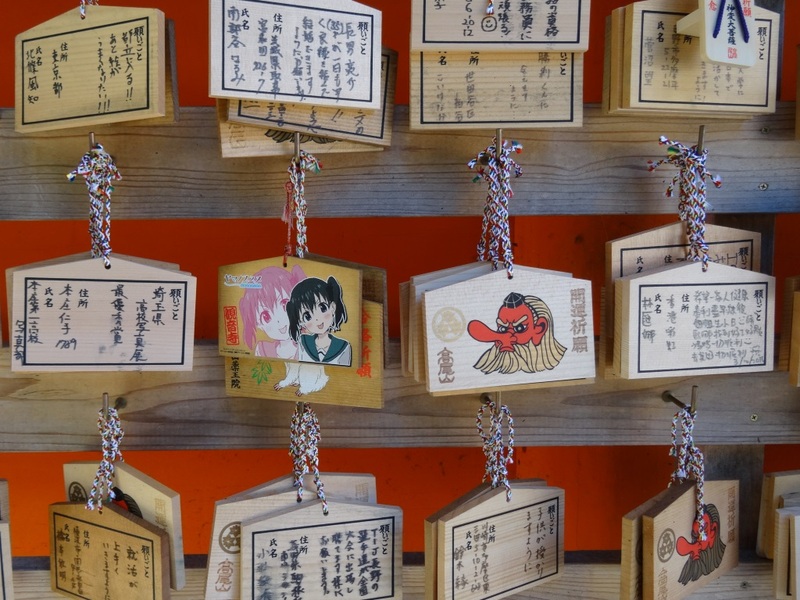 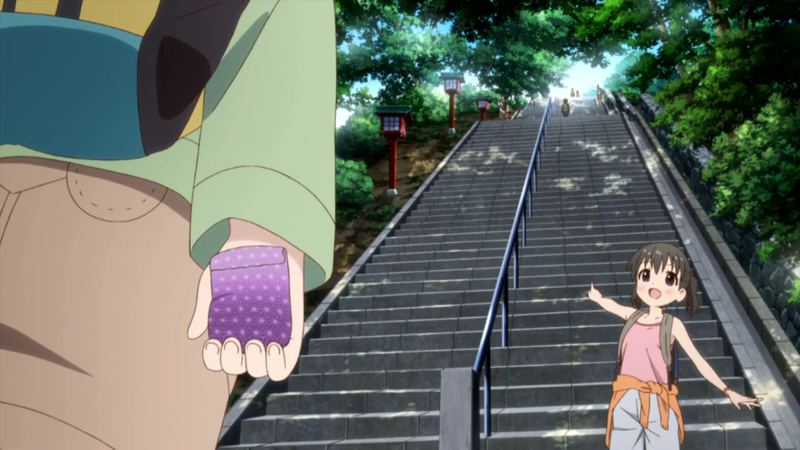 At the temple I also saw one Encouragement of Climb ema with Hinata on it. This location was visited on 2016/10/06.